For more than two millennia, philosophers have grappled with life's most profound and "eternal" questions. It is easy to forget, however, that these questions about fundamental issues like justice, injustice, virtue, vice, or happiness were not always eternal. They once had to be asked for the first time. This was a step that could place the inquirer beyond the boundaries of the law. And the Athenian citizen and philosopher who took that courageous step in the 5th century B.C. was Socrates. 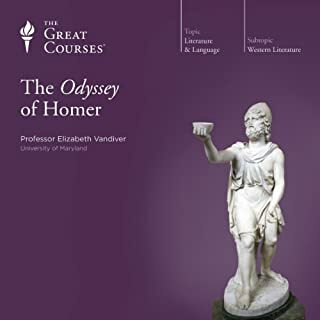 More than 2,500 years later, the fundamental questions asked by the ancient Greeks continue to challenge, fascinate, and instruct us. Is reality stable and permanent or is it always changing? Are ethical values like justice and courage relative? What is justice? What is happiness? How shall we best live our lives?In this series of 24 lectures, Professor Roochnik invites you to join this eternal discussion. 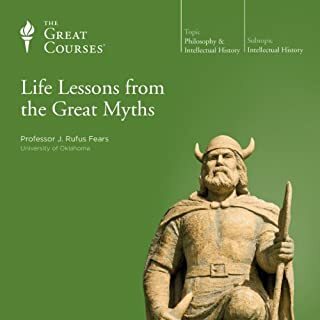 These 16 lectures bring the Socratic quest for truth alive and explore ideas that are as vital today as they were 25 centuries ago - ideas about truth, justice, love, beauty, courage, and wisdom that can change lives and reveal the world in new ways. 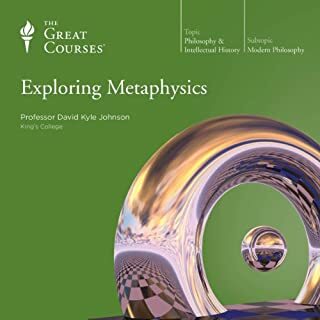 Here, you'll delve into the inner structure, action, and meaning of 17 of Plato's greatest dialogues, making these lectures an indispensable companion for anyone interested in philosophy in general or Platonic thought in particular. As you'll learn, the dialogues share some general characteristics - and they all breathe with the feeling, the tension, and even the humor of great theater. 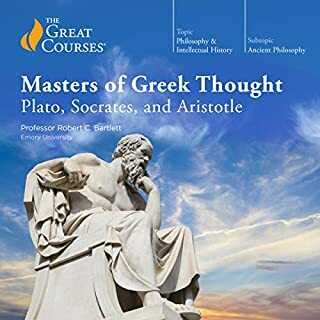 Even if you don't have time to reacquaint yourself directly with Platonic texts, you'll benefit enormously from these lectures' insights into the depths of reflection opened by Socrates and Plato - arguably the most important teacher-student pairing in history. 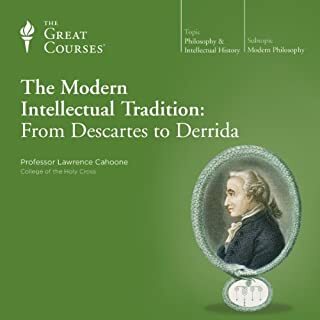 You'll become engrossed in "the romance of the intellect," as Professor Sugrue opens a path for you into the inner structure and action of these selected dialogues, for millennia the objects of devoted study by the noblest minds. These lectures offer no easy answers. What they give instead is much better: an introduction to Platonic "meta-education," the art not of what to think but of how to think. 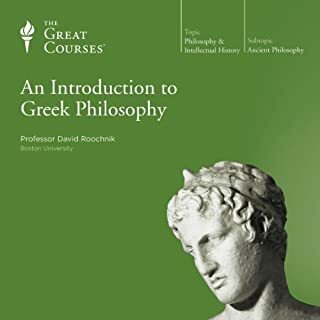 You'll see the stunning subtlety with which Plato weaves together the strengths of philosophy and poetry, dialectic and drama, word and action. And you'll catch a glimpse of the "serious playfulness" that Socrates says the search for the good, the true, and the beautiful can inspire in the human soul. I really enjoyed this. The delivery, wit, passion, humour, intelligence, and the thoughtful care Professor Sugrue gives to the dialogues does them a great deal more than justice. Wow! Both easy to follow and dense in content. I especially love his appreciation for the beauty of Plato. I was often moved when reading him back in school and that element of his genius seems to be often overlooked. 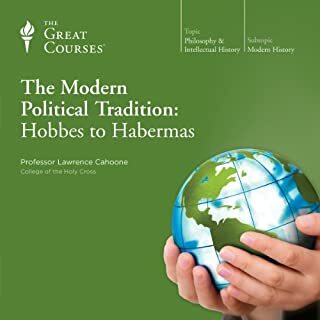 Furthermore, this series really reminded me how relevant Plato is for the challenges we face today, not only philosophically, or politically, but also as individuals (... well at least for me). Five stars! I jumped into this having spent a couple weeks on Plato in university & wondering about the reading order. In the end, I think this course is brilliant & the readings came together beautifully. By the time one gets to the final couple of dialogues you'll be reading Plato with more clarity & they will so much better for it. Michael Sugrue has really studied these texts & these lectures go far beyond any other free source I had found on YouTube & Khan. Highly recommended! 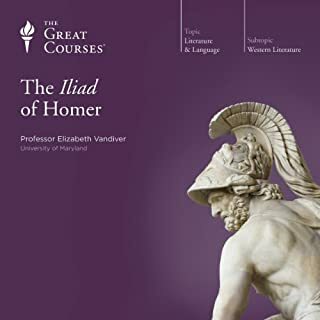 Where does Plato, Socrates, and the Dialogues rank among all the audiobooks you’ve listened to so far? It's the very best. 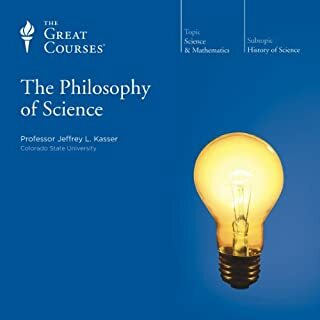 My audio library contains many books on philosophy with some historical non-fiction and science fiction sprinkled in. The energy with which Sugrue approaches the subject is without measure. 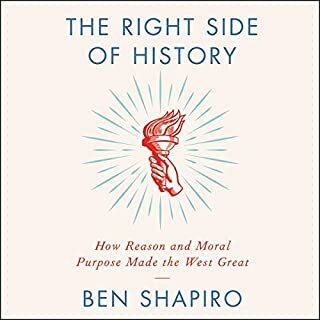 I return to this audio book time and time again. 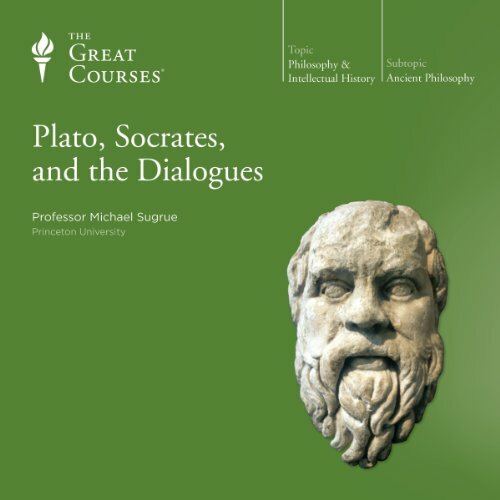 Sugrue penetrates each dialogue and dissects the characters Socrates confronts through Plato's words, and gives a deep and meaningful background on the Sophists and penetrating insight into how the Realm of the Forms runs into trouble. And he has a great time doing it! 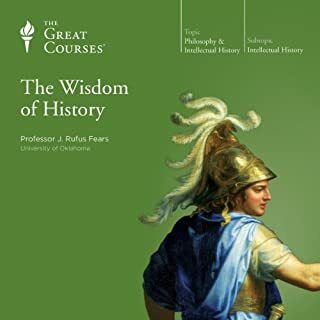 For anyone wanting to learn more about Plato, the Forms, Socrates, the Sophists, or the political situation surrounding each during the early days of the City-States, I highly recommend this audiobook. I found these lectures to be both informative and inspiring. Professor Sugrue clearly has spent a lot of time and effort thinking about these Dialogues and acts as a tour guide through them, highlighting (as he says) not only the architecture of each dialogue, but the layout of all the dialogues and how the relationship between them forms a superstructure (or a campus) where the buildings are and are connected to each other in a way that is also meaningful. I learned a lot listening to the lectures, and I will definitely listen to them again. But I would say the main thing I got from this lecture series was the inspiration to go and read the Dialogues for myself. I doubt that I'm going to read all 1600 pages of them,but have already read a few. 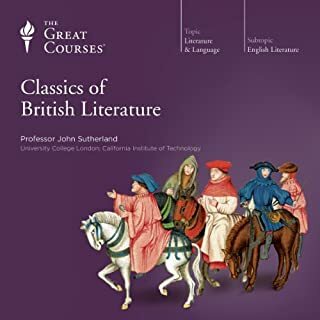 I've observed that with these lectures as background I pulled much more meaning out of the reading than I otherwise would have. 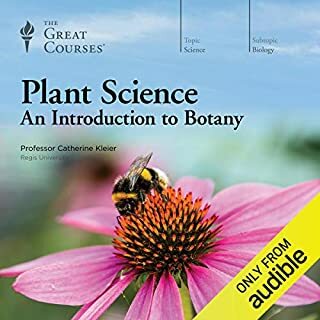 I will definitely listen to this again, and would also be on the lookout for other lectures by Professor Sugrue. The content is really good. The professor is really good. But serious, drink water before you talk. Tired of throughout you just hear him swallowing a drink or saliva. I get its lecture but in the mic it's just annoying sound. I still listen to everything but will admit him swallowing all the time is mad annoying. 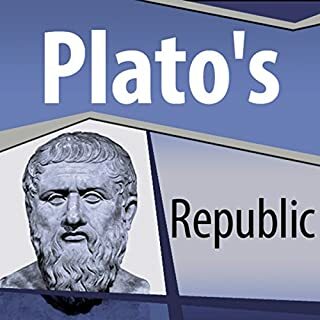 Great content, I love how he expands on who Plato is to really get a better grasp of what the author wants you to see. Very informative lecture again just hydrate the professor haha. The narrator has a great thirst, which becomes present to the point of subtle annoyance. The constant sipping, gulping, and lip-smacking nearly overwhelms certain parts of the lectures, but not quite. What did you love best about Plato, Socrates, and the Dialogues? I found myself truly anticipating each lecture. These interpretations and explanations reflect so much more thought and consideration than I ever would have had time to experience on my own. This series has made me want to investigate the Greeks further. More, I strongly believe that my writing and thinking will be positively influenced by these insights which are new, to me at least. 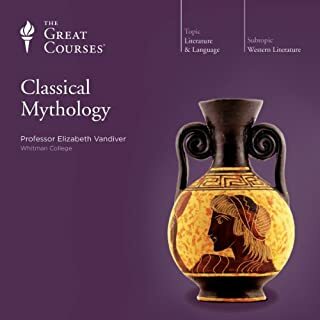 What other book might you compare Plato, Socrates, and the Dialogues to and why? If I had to compare this to another book, it would have to be Dante's Inferno. And only, possibly, because there is this concentric, continuing thought process that goes deeper and deeper into the combination of the psyche and social commentary. This book definitely made me laugh at points. 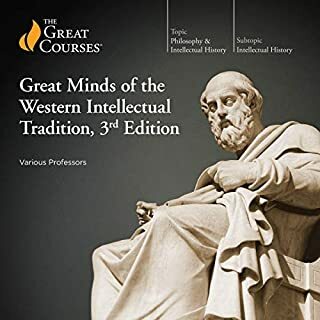 I would say that it made me excited to learn more in the progression of Western Philosophy. Wonderful lecture series. He's big-picture analysis of the relationships between all the dialogues is essential. Intellectually challenging and powerful spiritual exhortation, especially with his comments on the last two lectures. Great course, but terrible lipsmacking. I'm really amazed that wasn't edited out of final audio version. 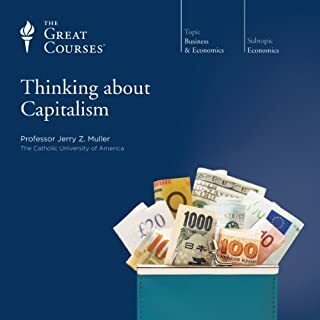 Good material, but the lecturer is annoying! 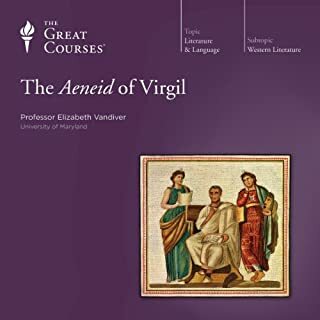 This is a brilliant series of lectures, generally. (There are some dull and tedious points but overall it kept my interest.) But, for the love of Pete, couldn't they edit out his GULPING NOISES?!?!? He GULPS WATER CONSTANTLY!!!!!! By the second half I gave up listening! Doesn't someone edit these sound files?!? I quit listening at about the half-way point because it was soooo annoying! !